After several years of experience, each of our repair technicians has earned their WildPCS Technician Certification. 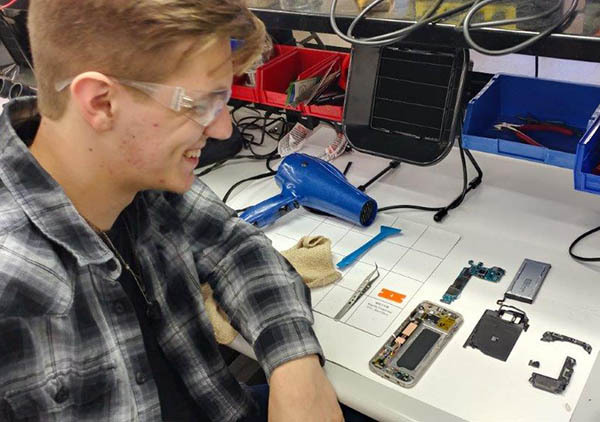 When you call or come in to our Hagerstown phone repair store with your busted device, we promise skilled service backed by superior product knowledge. Before beginning any work, your Jay Reece repair technician will give you a free Cell Phone Repairs in Chambersburg pa estimate, making honesty and transparency our number one goal. We’ll also ensure you know the exact status of your cell Phone Repairs in Martinsburg WV by keeping you updated throughout the process. Superior knowledge, certified services and industry-leading turnaround times — all combined to ensure your complete and total satisfaction. Come to us with your cell phone, tablet, and game console repair needs today. Our team is ready to tackle whatever challenge is thrown at them. 120-Day Warranty on damaged or broken parts on qualifying devices. Physical/Liquid damage is NOT covered under warranty. All repairs are given a unique warranty sticker. If the sticker is tampered with, the warranty is void. In necessary refund situations, a non-refundable $25 bench fee will be applied. The remaining amount will be refunded.